On any given night in Austin, Texas, there are over 2,300 homeless people living on the street. Since 2008, Street Youth Ministry of Austin (SYM) has been helping homeless or street-dependent youth identify their needs and connect them to local communities and partners that specialize in providing services like education, drug counseling, and medical and dental care. With between 80 and 120 young people receiving services every week—half of which are under the age of 24—SYM is a small organization with a lot to manage. 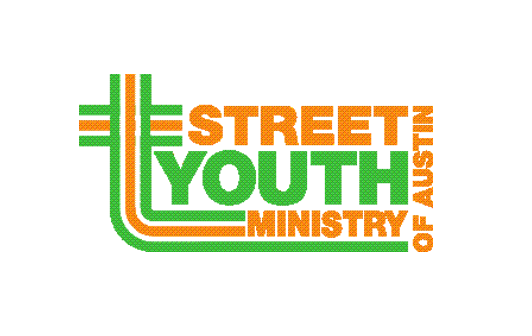 Street Youth Ministry leverages the Austin community to provide a comprehensive support network for street-dependent youth. But they found that, while their mission is to “know, love, and serve,” their technology didn’t truly enable them to “know” their donors, volunteers, and clients. Then SYM adopted Salesforce.org’s Nonprofit Success Pack and began to replace spreadsheets with this cloud solution. SYM’s view of their constituents quickly became much clearer. Now they can easily see who their donors and volunteers are, and track their past activities, donations, affiliations and other data. “We really were documenting our culture for the first time,” says Cole. With complete visibility into their prospecting pipeline and tools for sending automated, personalized messages, SYM is managing donor relationships like never before. They’re able to launch fundraising campaigns to target any segment of their donors, then track the results with real-time analytics. “Now we always know what the right next step is with a given supporter—whether it’s time to solicit a donation, invite them to sign up to volunteer, or take some other action,” says Cole. As a small organization with limited resources, SYM depends on volunteers to help coordinate events like Wash Nights and Cold Weather Responses. By giving volunteers the ability to sign up for shifts online, view their past and future activities, and automatically create volunteer receipts, SYM delivers a great experience for every volunteer. SYM uses the Nonprofit Success Pack as much more than a fundraising database; they also use it to manage their programs and services. All of their client information is tracked on the platform, including services received, events attended, and more. Staff can generate reports on this data in seconds: “We can pull up a list of clients who haven’t received services in a certain period of time, for example, and follow up with them, so no one falls through the cracks.” These powerful, built-in analytics also help the organization track client outcomes and measure their impact on street-dependent youth. Where staff used to spend hours entering data, they’re now spending more time with clients thanks to automated workflows. “We saw instant value in the first two months, then continued to see incremental value as we moved more processes onto the platform, until we reached nirvana after just five months,” Cole says. SYM recently published its first annual report as an independent non-profit. The 360-degree view of data they were able to easily summarize about clients, in-kind donations, volunteers and donors made the report easy and compelling. If you’re impressed that SYM was able to start achieving results like this in only five months, you might be even more surprised to learn that it was all done by a one-person IT team. Using the extensive documentation and free support available in Salesforce.org’s online community, The Power of Us Hub, Cole was able to sign up for free Salesforce licenses, install the Nonprofit Success Pack, and configure it to meet his organization’s needs. “The documentation of the product in the Power of Us Hub has been an incredible resource,” says Cole. Today, SYM continues to expand their use of Nonprofit Success Pack, continually increasing efficiency and harnessing the power of data to tell their story. “We no longer have any concerns about our ability to scale IT as we grow, thanks to the Nonprofit Success Pack and Salesforce.” And SYM grows, so do the resources and opportunities available to the street-dependent youth that rely on the vital work of this organization. While it is possible for an admin with IT experience to install and configure the Nonprofit Success Pack, Salesforce.org recommends working with one of our expert partners in order to get the most out of your implementation.